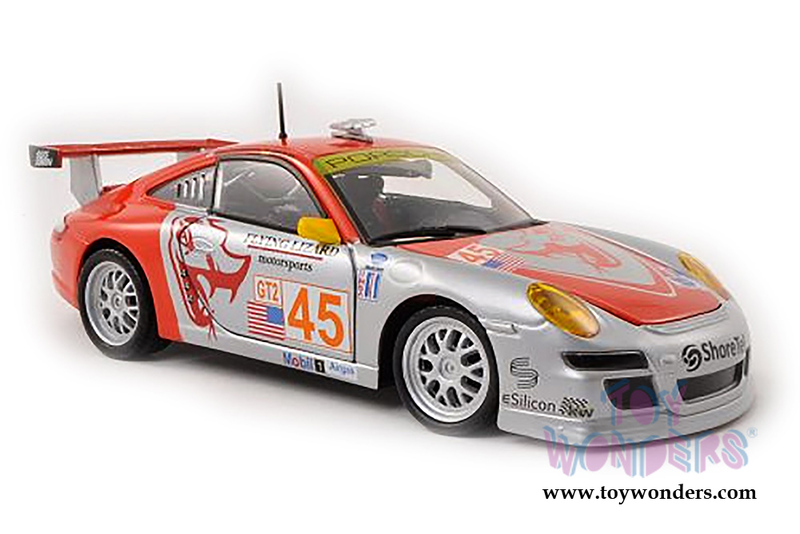 28002R BBurago Race - Porsche 911 GT3 RSR Hardtop. 1:24 scale diecast collectible model car. 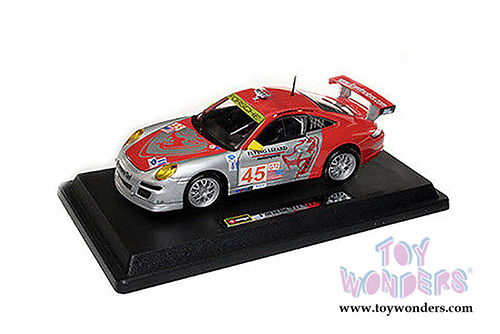 This Porsche 911 is a 7.25"L x 3"W x 2.25"H diecast metal car with openable doors and hood. Italian design. This Porsche 911 is manufactured by BBurago. Item 28002R is in RED color. Individually packed in a window box. Box size: 9.5"L x 5"W x 4"H.